This gorgeous and grand two storey villa is set up for fantastic family living in an unbeatable location. Encompassing fully flexible living spaces, the layout allows for the needs of the comings and goings of modern family life. Two living areas, four bedrooms and two bathrooms plus powder room provides everyone with their own space. The main entertaining areas open to maximise the light, sun and views. Decks link the garden and studio space adding to the options for work or retreat. 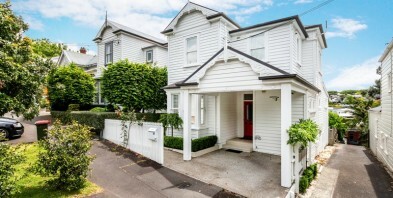 The location is key with Ponsonby Road and the city a short walk in either direction. West End Park is only meters away. Our owners are moving south having loved this home. It is now ready for you. This is not going to auction, but is realistically priced to represent exceptional value. Make inspection a priority.